Samsung's upcoming Galaxy S10 lineup is becoming an ever more interesting device with each new bit unveiled. Currently we expect there to be three devices. The Galaxy S10 (codenamed Beyond 0) with a 5.8-inch regular (read non-curved) Super AMOLED screen, side-mounted fingerprint scanner, and a dual 12MP wide + 12MP tele camera. 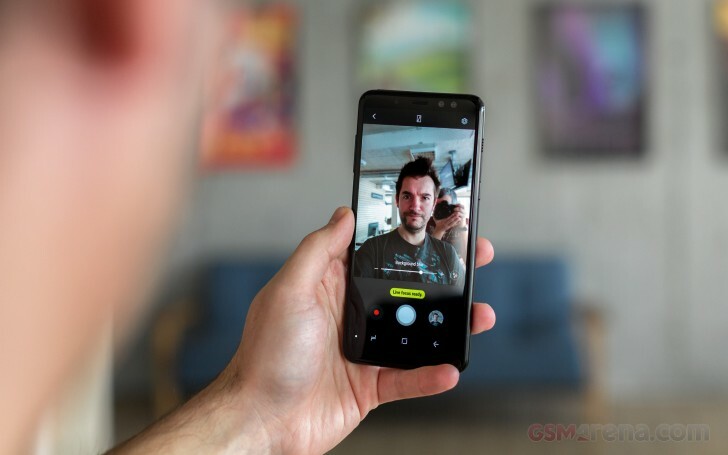 The Galaxy S10+ (Beyond 1) with a 6.2-inch curved Super AMOLED, under the display fingerprint scanner, triple rear camera 12MP wide + 12MP tele + 16MP fixed-focus 120-degree super wide angle, and single front-facing camera. And finally a Galaxy S10+ (Beyond 2) with a 6.44-inch curved Super AMOLED, under the display fingerprint scanner, triple rear camera 12MP wide + 12MP tele + 16MP fixed-focus 120-degree super wide angle and a new dual selfie camera. The information comes via a report by Korean publication The Bell, citing industry sources. There's no word what configuration the two selfie cameras will use but we expect it be similar to the Galaxy A8 (2018) with a 16MP + 8MP setup aimed at Live Focus (portrait mode) selfies. Samsung will unveil its 10-anniversary Galaxy S10 series at the Mobile World Congress next year. But as things are going now, we'll surely know more and more about Samsung's future flagships before that. The Samsung Galaxy Note9 could bring some answers - it will become official next month on August 9. You seem totally lost in conversation, and you should be happy in your own sense of humor which is mocking you bluntly in public,have a nice one,bruh!